In Legion casual Player vs Player content has changed a bit from previous expansions. In previous expansions honor was a currency; you’d earn it by doing PvP and then spend it on buying PvP gear, PvP mounts, etc. There were also conquest points, mostly earned from arenas and rated battleground, which allowed you to buy stronger PvP gear. This has all changed in Legion. Whilst you still earn honor, it is used to earn honor levels. These go from 1 to 50; everyone starts off at honor level 1. The first prestige level only requires half the honor of the later ones – 22,000 honor. If nothing else this means you’ll gain access to the full set of PvP talents sooner! Each honor level gained will reward you with one of 200g or 125k AP (at AK25). When working towards your first prestige you’ll also get honor talent every few levels as well. Each prestige level beyond the first will take 44,000 honor. Whilst this seems like a lot, it doesn’t take that long to reach it – especially if you do a lot of PvP. The halfway point in the honor level grind is just after honor level 26. So, how is PvP progression handled? You start off at prestige level 0; every time you reach honor level 50 you go up a prestige level and your honor level resets to 1. Each PvP season has four prestige levels to work through, each with their own rewards. Once you’ve gained the honor talents in P0 you don’t need to get them again in later prestige levels – you’re rewarded with alternating gold or artifact power rewards instead. Assuming you’re at AK25, you’ll earn 3 million AP and 5,000g for each level of prestige you gain. As shown in earning honor, you can do world quests and other activities to gain prestige levels. The more PvP activities you do, the faster you’ll gain prestige levels. Note that the time below is for full prestige seasons – the first prestige at half honor isn’t taken into account. Obviously, any extra honor you gain each day from doing battlegrounds to get that first win of the day isn’t counted. And that extra honor will quickly start to stack up. However what the above shows us is that whilst you can gain prestige levels by just doing the tower world quests, it’ll take a very long time to gain the prestige to advance to the better rewards. However you can get the first PvP artifact appearance within 2½ months of just doing the tower world quests every day. You’ll also get all of the honor talents and the pet. I’ve also included the numbers for doing just a single PvA quest each day; whilst this seems strange – if you can do a single PvA quest, why not do the tower quests as well – but it does make sense when you realize that some classes have a way to complete world quests by use of a token once every 18 hours. Thus they can do a PvA quest once a day without having to leave their class halls – I know of at least one person who got the PvA meta achievement mount this way! All of them are roughly the same – spend some order resources to create an item which is ready in ~10 mins. Once you have one of those items you can complete quests from the world map. The items are all class themed – so when you start the work order for the paladins a call for volunteers goes out & when the item is ready there is a party waiting by the item. For Death knights you’ll have a frost wyrm waiting for you. Although that does lead to a strange image of a mighty Frost Wyrm swooping down from the skies to then pick some herbs for you! The old ways of earning honor still exist; in rough order of dedication required: battlegrounds, arena skirmishes, rated battlegrounds and arenas. You gain extra honor for the first of the above PvP activities done each day. So normally a battleground win will reward you 150 honor; the first win of the day rewards you 300 honor. The first of the day will also reward more artifact power. The “first of the day” bonus only applies once – you can’t double dip by doing a random battleground, then do an arena skirmish. Outside of honor, the world quests can also reward you with gold, order resources, artifact power, PvP gear and marks of honor – used to purchase old PvP items. All three tower quests are up at the same time and somewhat PvE in nature – you’ll rarely encounter the opposing faction at these. You have to kill 13 guards and the tower commander at the top of the tower. I tend to work around the outside of the tower before heading up to the top – nothing more annoying than finding no guards on the way up when you only need a couple to finish off the quest! Finishing at the top also means you can just use the Flight Master’s Whistle to leave the area. 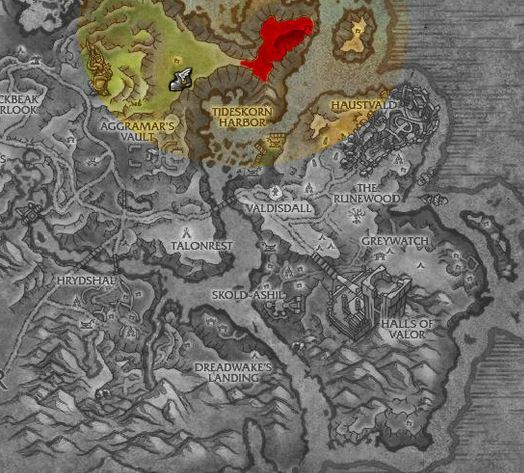 In each zone there are two possible locations for the PvP tower quest – one will be Alliance and the other will be Horde – and it’ll be clearly marked as a PvP world quest on the world map. Doing all the tower quests will give you 900 honor; handily they also count towards the emissary quests. Unless you’re working on the Court of Farondis or the Nightfallen thanks to neither Azuna or Surama having a PvP tower. There are also Player vs All – or PvA – quests. There will almost always be one up; each last for ~6 hours before a new one spawns. With PvA world quests you’ll find that most other players – even those of your own faction – become hostile and attackable. If you’ve ever had a moment when you wished you could attack your own faction? Well, now you can! If you’re in a party then generally your fellow group members remain friendly to you. You may also find that most players, even though they’re attackable, will ignore you. Often people decide to have a truce and not attack other players for the quest objectives, although it how much this occurs does vary for each quest. It is best to assume the PvA quests will result in fighting other players. This means if you time it right, you can do all four PvA world quests each day! I’m an hour behind server time so its not too painful to stay awake until 1am GMT (2am BST) to get the one which spawns at 1am GMT & then get enough sleep to catch the one following before it resets at 1pm GMT. Although thanks to work this is something I can only manage on a weekend! The 2,000 honor if you manage this is very useful when leveling prestige. However given their nature, you should assume you’ll be fighting other players. And since its world PvP, there are no PvP templates. Plus legendaries, set bonuses, trinket procs and paragon traits are all enabled. There are four different PvA quests which can appear; if you manage to do each one of these quests 20 times you’ll earn the meta achievement Free For All, More For Me which rewards the Prestigious War Steed / Prestigious War Wolf mount. Found in the north-east corner of Stormheim, you have to make 20 mobs submit to you or kill 20 players. Players will often have a truce and not attack other players, although thanks to the buffs you can gain ranged may well want to take out frustrations on melee players here! Once the mobs have submitted to you – which occurs at ~20% health – you can ride them! This will give you a mob specific ability via the extra action button – eg the goat lets you knockback players; doing this to knock players off the cliffs is quite fun! For ranged riding the submissive mobs has an extra bonus – you’ll be able cast whilst moving, giving ranged a massive advantage over melee for once. 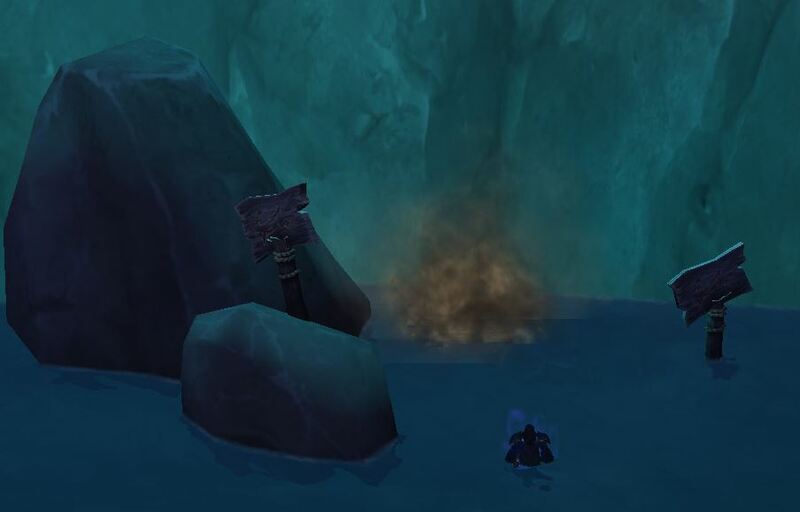 Found in the south of Highmountain, Darkbrul arena is deep in the Deep Roads cave. 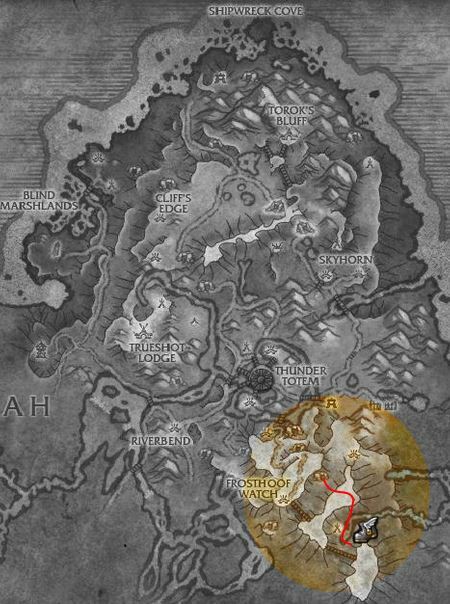 The fastest way to reach it is via the Ironhorn Enclave flight point and then jumping off the side of the cliff & gliding down all the way into the arena! Once there you’ll need to kill 10 players or elite NPCs found within the arena. I made a short video of the route I use to get into this area via a glider. 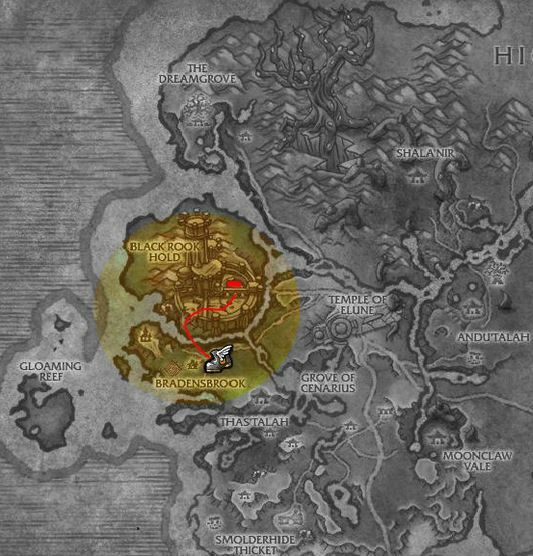 If you have flying you can take roughly the same route as above and fly right into the arena. Skulls mark where elite quest mobs stand; they just throw boulders at you. 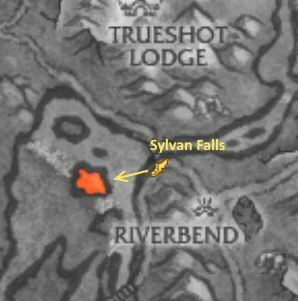 The area the boulders will hit are clearly shown and if you’re within it when the boulder lands you’ll take damage and be stunned for a few seconds. Enterprising players can use these to stun other players. Also note the cloud – these are the deep shadows you can escape to. You aren’t attackable in the clouds, but you can’t attack anyone either. The location of these clouds are shown as the dark blue speckled pattern in the top left and bottom right of the map. 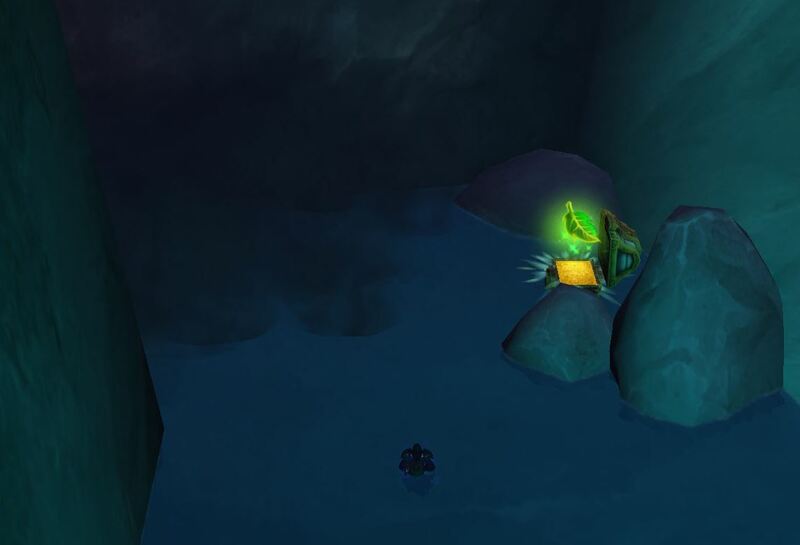 Found in the north west corner of Azsuna, you have to rescue lots of murlocs from Naga! … and there is an NPC in a murloc suit you may remember from Wraith. You’ll need to kill lots of Naga to complete this quest – most mobs only reward ~2% progress. There are some elite mobs which have a 15 minute respawn which give you 25% progress. Unfortunately as the number of players in the area goes up, the respawn rate of the naga goes down – If it is busy you will end up fighting other players. However players reward ~14% progress. With the addition of flying, this PvA has become one of players hovering above the area, waiting to pounce on any Naga which spawn. The amount of player vs player fighting seems to have gone down now, although sometimes you have to start PvP off to get the quest completed thanks to how the respawns work! 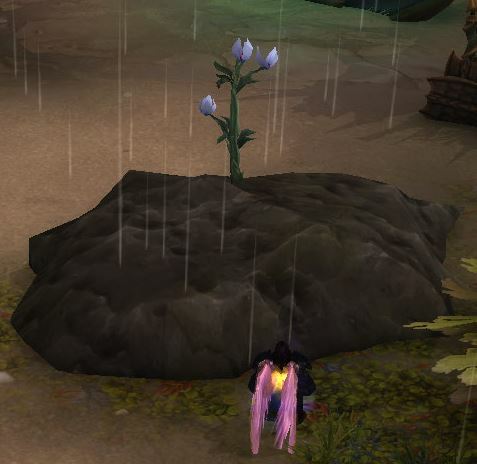 There is a lovely buff available whilst this world quest is up though – the Songflower Serenade. This increases all stats by 15%, lasts an hour and persists through death. Even better, it works across the Broken Isles! This is found in the Black Rook Hold Arena and you’re guarenteed to be fighting other players. In this world quest you are hostile to all players – even those in your party. If there are no players to kill an elite NPC will spawn. If you think you’re alone in the arena and an NPC hasn’t spawned theLOOK OUT BEHIND YOU! ROGUE!. Each time you kill a target in the arena you’ll get a stack of Rumbler’s Momentum which increases your damage done by 5%, but also reduces your health by 5%. And healing recieved by 50%. Suffice to say, Blackrook Rumble really lives up to its name – its chaos and due to the health reduction from Rumbler’s Momentum, its hard for a single player to dominate the arena. So, how do you gain old PvP gear for transmog, PvP mounts, new PvP gear and all the other goodies you’d purchase with honor in previous expansions? PvP gear can be rewarded from doing world quests and doing battlegrounds gives a chance for PvP gear to drop – and from personal experience this is another source for legendaries. Another reward from PvP world quests and the chest rewarded from battlegrounds are Marks of Honor and these are used to purchase the old PvP gear for transmog, PvP mounts, etc. They are also handily bind to account so you can farm them over several characters. It also means that if you want an old PvP set for transmog on a character who you don’t PvP on, you can farm the marks of honor with characters you do PvP on. One of the bigger changes to PvP in Legion – which has had a good effect for PvE as well – are the splitting up of PvE and PvP for talents and some spell effects. This has addressed one of the big complaints from the PvE community in prior expansions – PvP nerfs impacting PvE play. The main talents are available in both PvE and PvP – this is handy as on my priest I have different talents sets for PvP vs PvE. 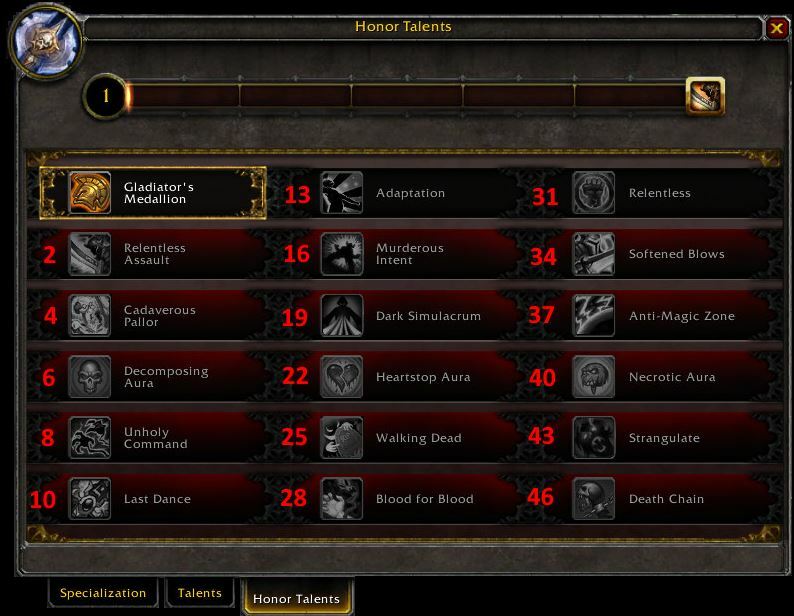 This does mean that you’ll get the first column of PvP talents fairly quickly, but to gain access to all of the talents will take you most of the initial honor levels. Another Legion change are PvP templates – something added so that Blizzard could better tune PvP and remove the impact gear has in this area. These are pre-defined character stats which are applied no matter what your gear is, thus leveling the playing field. They are activated in battlegrounds and arenas. The impact of gear hasn’t completely gone however; there is a buff which increases your stats after the PvP template has been applied which increases the higher your item level is. Thus my main’s 910 item level grants him a 10% boost in stats. PvP templates also means that you can take a fresh 110 into end game Legion PvP and not feel like you’re a free honor kill to the opposing side. Other things are disabled in battlegrounds and arenas as well – legendaries, set bonuses and trinket procs. Currently the paragon traits are disabled within PvP as well, although Blizzard may change that in the future. The four falcosaur mounts which come from pet battling are fun to get and don’t take too much effort – there is even a little bit of PvP involved as you’ll need to do at least one world PvP quest with a hatchling out. Follow that through and you’ll get an Ivory Talon which works in much the same way as the Fire-Watcher’s Oath in Mists of Pandaria – you become hostile to all players! However here we’re collecting Marks of Prey. Each one will give you 100 rep with the Talon’s Vengeance faction; fortunately the Darkmoon Faire Carousel rep buff works with these, giving you 110 rep a token. I use the following Weak Aura to track the Hunted debuff so I don’t farm players needlessly. 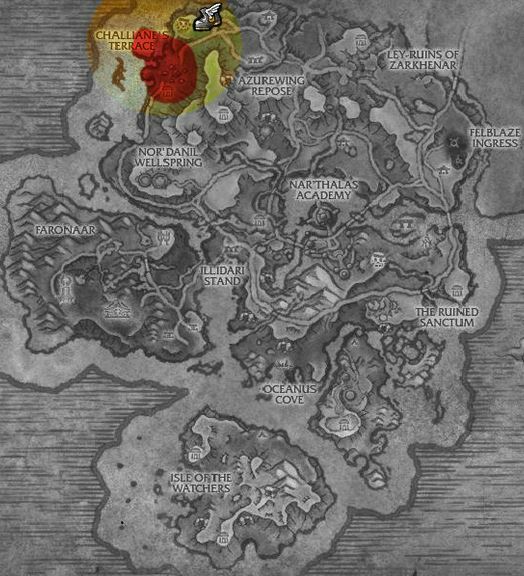 Once you reach honored with the Talon’s Vengeance you can purchase the Ivory Feather which works in battlegrounds and Ashran to increase the places you can farm the marks. It’ll take 90 marks to reach honored, 82 if you use a 10% rep buff. Once you can farm Marks of Prey in battlegrounds you’ll find you’ll obtain them a lot faster – you don’t apply the Hunted debuff. At exalted you can purchase the Ivory Hawkstrider. It’ll take 420 marks of honor to go from neutral to exalted for the mount if you don’t use a reputation bonus. It’ll take 382 with a 10% rep bonus. Getting even 382 marks will take some time, especially since the bug which allowed you to farm NPCs in Ashran to get the marks has been fixed. As a result, the Ivory Hawkstrider is currently one of the rarer mounts in game. This entry was posted in Legion, Mount farming 101, PvP. Bookmark the permalink. Thank you for this. I briefly gave battlegrounds a try, I saw I was getting talents every couple of BG’s. Initially it looked to me like you just kept getting them, someone in guild pointed out, once the first column was complete, then you started to have to choose. I was planning on continuing, to get them all, it seemed like it would be cool to have every one, that if you put in the work, you could get them all, obviously some are higher power versions of lower ranks, and some abilities were situational, but I had hopes, and then they were dashed. Have not don any PvP since. Whilst it would be cool to have every single talent, it wouldn’t give you much choice! … and Blizz is all about the meaningful choice these days. And thanks to your post I know now I can get 125k AP with a first win every day. Yep! And you’ll get a lesser AP token (50k I recall) for each win after that. Even a BG loss can give you a 25k AP token. Plus you get AP as you gain honor levels – moreso after you reach the first prestige level. I did AV once last night. I took out bunkers, killed guards, killed other players that thought I was an easy solo target. Was first with 712 honor, got my 125k thing, and had another worth 100k. It felt good. Felt rewarding. Will definitely be trying to do that once a day, over doing the same World Quests over and over. Templates have made PvP far more enjoyable now that the gear differences have been removed. However it seems that not many people are aware of this change – a number of people in my guild are now trying out PvP & finding it more enjoyable now as a result! I was turned off from it, hmm mid Cata? There was a point where gear outpaced the casual player to a point a 5 man team in full top gear could destroy a random BG. Where one skilled player well geared could ignore 3 enemy players. And it was no fun being dead all the time. I will still avoid world PvP because it is a mindset for me to adjust to a different play style. And I would rather be in a BG where others are there for the same. Skill will always beat gear, but it kind of nice to at least make it something of a challenge rather than stun, swing swing you’re dead in less than 5 seconds. Yep; that’s very much my experience as well. I still think that healers are somewhat OP in PvP right now – a single healer can hold off a couple of DPS. But, in a way, that’s intentional.